"You&apos;d make a good Reno Sweeney." Camila looked up from her French toast to find Lauren studying her thoughtfully. Lauren tipped her head, cheek full of pancake. She covered her mouth to speak. "Small, loud. Camila Cabello on a boat. I&apos;d get a kick out of that." Camila narrowed her eyes. "Is that a pun?" Lauren grabbed the syrup jug with both hands and doused her remaining pancakes. 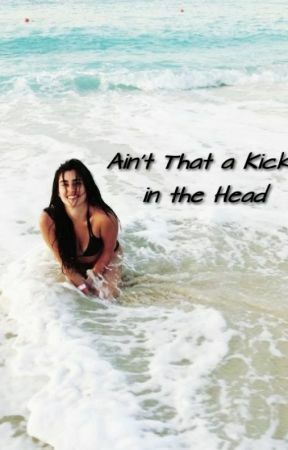 She hummed the chorus of "I get a kick out of you," and met Camila&apos;s gaze, eyebrow raised. "I don&apos;t know what you&apos;re talking about." "You&apos;re so full of it." Camila shook her head, smiling. She ripped the tops off four packets of sugar and dumped them into her coffee. Lauren paused with her fork halfway to her mouth. "Would you like some insulin to go with that?" "If you know so much about theater, and you majored in it, why aren&apos;t you doing something with it?" Camila asked, ignoring the sugar comment. She glanced around the diner and hailed Dinah to bring more syrup since Lauren had run out. "I run a surf shop." Lauren stabbed a pancake. "Because I like it." Lauren was silent for a moment. Camila sipped her coffee, assuming she wasn&apos;t going to get an answer. She thanked Dinah when she dropped off a new jug of syrup. "Sometimes I like it better." Lauren said finally, cheeks full of food. "They&apos;re-it&apos;s-they&apos;re completely different worlds." Camila observed her. She&apos;d come to find that Lauren would tap her thighs when questioned. Cornered or distressed or annoyed, Camila didn&apos;t know. "Do you sing?" Camila smiled. "I bet you can dance." "Wouldn&apos;t you like to know." Lauren was bent over her plate, eyes smiling. "I would like to know, yes." Camila enthused. "I&apos;d like to see, actually." Lauren hummed. "I&apos;ll just break it down in the middle of breakfast, then." Camila rolled her eyes. "Not now. Soon. Just...the next time we have music. We can dance." "Maybe. It makes my knees hurt." Camila pouted slightly, sympathetic. Lauren caught her expression and shook her head. She stole a bite of French toast off Camila&apos;s plate and sniffed curiously. "It&apos;s vegan. Not poison." Camila informed. She let Lauren steal several more bites before slapping her hand away. "So why haven&apos;t you taken that role? Reno Sweeney?" Lauren propped her feet up on the booth next to Camila. She was wearing shoes this time-faded and nearly untied-so Camila didn&apos;t bother moving them back to the floor. 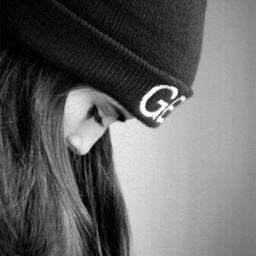 "It&apos;s..." Camila pursed her lips and rolled through a million ways to say what she needed to. "Does it have anything to do with why you came down here?" "It&apos;s okay to say you can&apos;t tell me, you know. Instead of hemming and hawing like a donkey over there." Lauren dragged her pancakes around a puddle of syrup and lifted a brow. "I just...would prefer to not talk about it with you at this moment." Camila said carefully. Lauren nodded. "I hope whatever it is gets fixed. It&apos;d be nice if they chose not to destroy one of my favorite movies."